"A fine example of an Oriental Scenery pearlware transfer printed plate. This great design depicts a view in India taken from "Oriental Scenery" by Thomas & William Daniell published 1795-1808. The main source print for the "Monopteros "pattern is titled "Remains of an Ancient Building near Firoz Shah's Cotilla, Delhi", the tree framing the scene is from another aquatint - "The Sacred Tree of the Hindoos at Gyah Bahar" Antiques Expert Hamilton Bear. 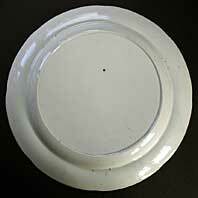 References: known as the "Monoptoros" pattern; this is the version made by Rogers circa 1820-30 - a very good Staffordshire blue maker. 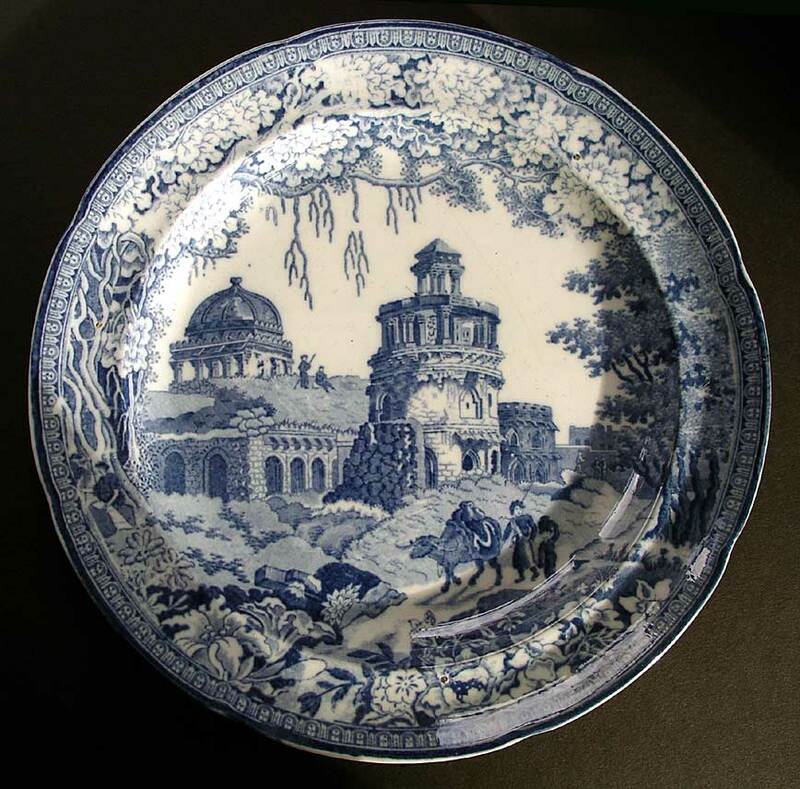 An identical unmarked example attributed to Rogers is illustrated in "Antique Blue and White Spode" S.B. Williams pg. 221 Fig. 117. Dimensions: width 240 mm max. Condition: A good example and unusual that there are no tiny rim chips or staining. Please note a superficial faint surface scratch-hairline to the glaze to the right of the main tower in the pattern. This is not easy to spot in general display viewing and does not penetrate through the pottery to the back. Please study detail enlargement. Bands of light areas to rim etc.. are reflections to the highly glazed finish. The pattern is perfect.